The motel is animal friendly so treasured family pets are welcome too. Guests can relax in the extra quiet, safe and completely secure building which was built in 2012 to post-earthquake building codes. • Spotlessly clean interiors that always look just like the photos! 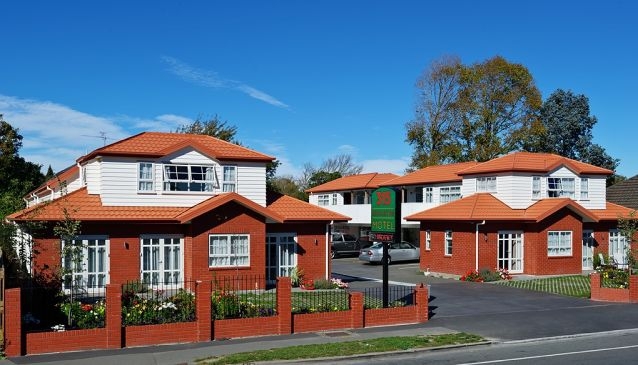 Centrally located in the suburb of Riccarton, the motel is close to the best shopping, dining and entertainment that Christchurch has to offer. It's also within walking distance to the University and only one block from the Westpac Stadium and the Canterbury A&P Show Grounds. A bus stop is situated right in of the front of the motel with buses running every 15 minutes. Free airport, train and rental car shuttle service is available for guests (Shuttle hours 7:30am - 11:30pm).